San Stefano on Corfu's northeastern coast is preferred for its low-key atmosphere. The small bay is surrounded by green hillsides providing mesmerizing views across the Ioanian sea and the mountains of Albania. At the picturesque bay of San Stefano are always yachts and small boats anchored, this small seaside village offers several waterfront tavernas, bars and some small supermarkets and boat-hire places. At San Stefano's beach, there are sun beds and parasols available. The beach is pebbly and it is recommended to use swim footwear, however the water is crystal-clear and the beach far less crowded in than larger resorts, especially during July and August. 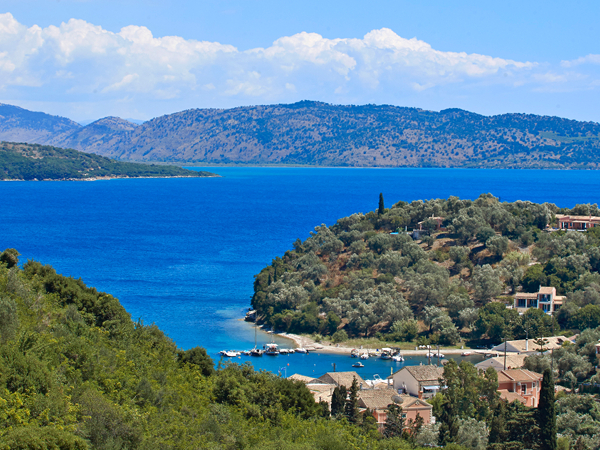 Larger and pebbly beaches are just a few minutes drive away: Kerasia, Avlaki, Kassiopi and Kalami.